The spiritual leader of the Taliban said the group's insurgents have succeeded in foisting the ranks of the Afghan security forces, allowing them to attack their fellow NATO service members. The admission comes amidst a rise in friendly fire attacks. 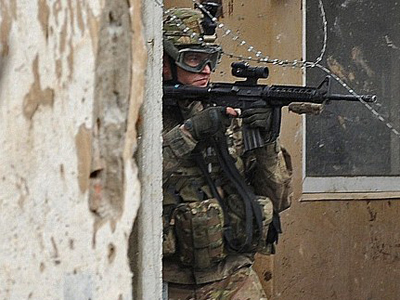 Rogue shootings of foreign troops claimed lives of nearly 40 soldiers in several dozen attacks in 2012. 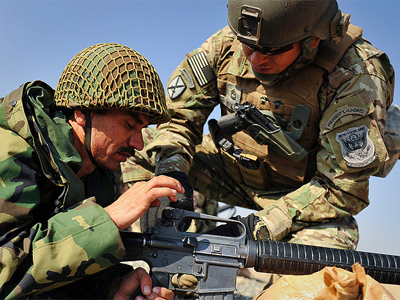 The latest instance of Afghan security forces turning their weapons against US troops came in two separate attacks on Friday. 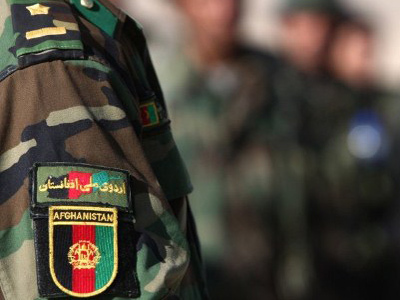 In one of the attacks, an Afghan man who had been recruited to a the Afghan Local Police (ALP), a special security force for villages, shot and killed two US service members in the western province of Farah. He was later shot dead by other US troops. 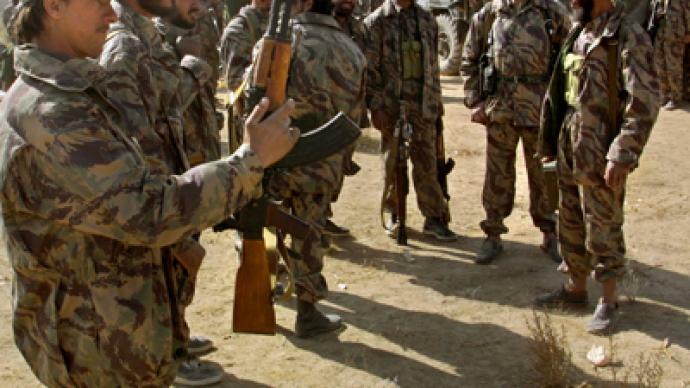 Just hours later, an Afghan soldier turned his gun on foreign troops in the southern Kandahar province, wounding two of them before being gunned down himself. The so-called “green-on-blue” or "insider incidents" shootings are responsible for 13 per cent of foreign troop deaths in Afghanistan, the Long War Journal website reported. 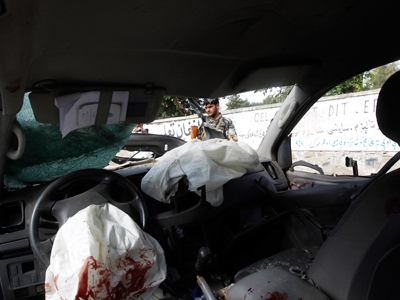 ISAF command insists the friendly-fire shootings have nothing to do with the Taliban infiltrating Afghan police, but are rather the result of stress and personal disagreements between NATO service members training Afghan forces. Pentagon chief Leon Panetta admitted that the Taliban had been behind at least some of the attacks, but downplayed their overall significance. “The Taliban has not been able to regain any territory lost, so they're resorting to these kinds of attacks to create havoc," Panetta said, adding that the Taliban’s new tactic does not "reflect any kind of broad pattern." 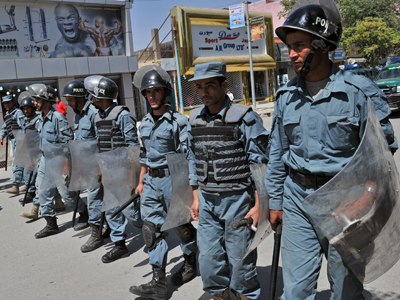 Mullah Omar urged Afghan nationals serving in the police, army and government to cease supporting the occupying forces and back the Taliban as the 2014 deadline for NATO troop withdrawal approaches. The Taliban is creating a shadow Afghan government called the Department of Call and Guidance, Luring and Integration, successfully setting up branches across Afghanistan, Mullah Omar said. And as the Taliban readies itself to return to the realms of power, fellow militants have also been told to become more civilian-friendly – literally. In a seven-page statement issued Thursday ahead of the Eid al-Fitr festival that marks the end of the Islamic holy month of Ramadan, the usually reclusive Omar urged insurgents to "employ tactics that do not cause harm to life and property of the common countrymen," Reuters reported. "The instructions given to you for the protection of civilian losses are, on you, a religious obligation to observe," Mullah Omar said in a message that has been translated into five languages. The Taliban commander is likely attempting to improve the organization's image in Afghanistan, where it has been blamed for 80 per cent of civilian casualties in the country in a recent UN report. The fact that Afghan security forces, who are meant to serve as a bulwark against the Taliban, have been infiltrated by the militant group is only a blaring illustration of the “miserable failure of the war,” John Glaser, assistant editor at Antiwar.com, told RT. 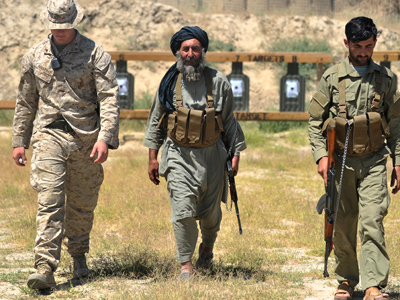 This means peace is probably not in the cards in Afghanistan's future. But in vying for power in a post-ISAF Afghanistan, the Taliban doesn’t want to make the mistake al-Qaeda made in Iraq by killing civilians, alienating the majority of the population in the process.